All things Virginia weather with focus in the Shenandoah Valley. It's hot! 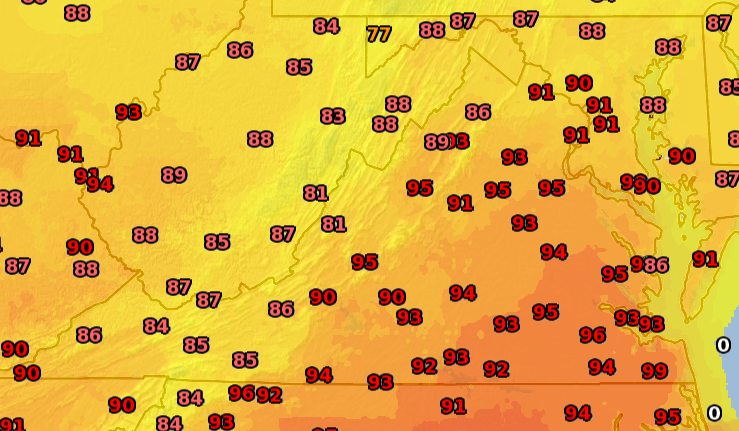 Shenandoah Valley Regional Airport (KSHD) officially hit 95 degrees...the hottest since hitting 99 back on July 8th of 2012. We're even seeing temps very close to 100 across southeastern portions of the state. This kind of heat combined with dew points in the upper 60s to low 70s makes it feel like a sauna out. Stay cool! 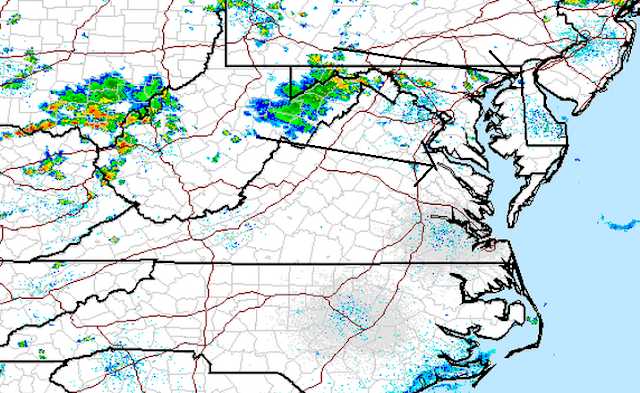 *Clouds and a few scattered thunderstorms will begin working into the central and northern Shenandoah Valley over the next few hours. 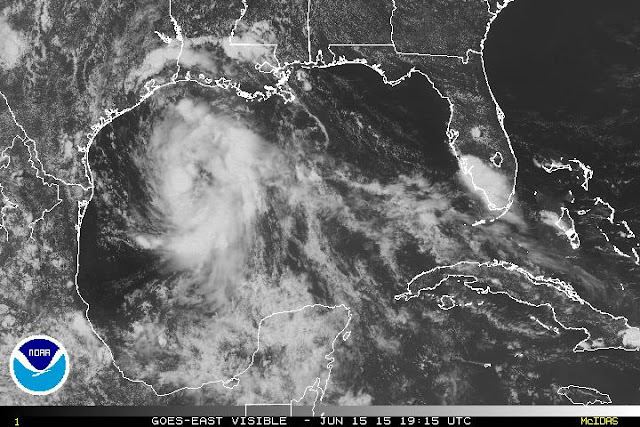 *Hurricane hunters still didn't find a defined circulation with Invest 91L. Based off latest satellite imagery, this should become Tropical Storm Bill later this evening before making landfall on the Texas coast Tuesday AM.